Kat will have to carve out a life in this strange world while looking for the truth of her origin. Fortunately for her, her strange animal companion gives her the ability to shift the gravity around her. Will Kat be able to find allies to help her search for the truth? Or will the people reject her, leaving her alone to fight the monstrous Nevi? Gravity Rush Remastered (Also known as Gravity Daze in Japan) is a Playstation 4 re-release of the hit action-platformer game that was released for the Playstation Vita back in 2012. The game was developed by Project Siren, a development team tied to Sony Interactive Entertainment that has become well known for developing survival horror video games. The game's director and lead designer, Keiichiro Toyama, is well known in the Japanese gaming industry for his work on the original Silent Hill and the Siren series. According to Toyama, the concept of Gravity Rush was something he had been developing during his time working on the aforementioned horror games. He was inspired by the artwork of French graphic novelist Jean Girard (aka Moebius), which would help influence the game's comic style. When the original Gravity Rush was released back in 2012, I was unable to play it due to the fact that I didn't own a Playstation Vita. A fact that left me dishearted, since I had been genuinely intrigued by the game's concept and execution of the gravity manipulation mechanic. Which is why when it was announced that it would be getting a remastered version for the Playstation 4, I made sure to mark it down as one of the many desirables on my Christmas list. Now, after playing the game through to its completion I find that while the game definitely holds up to all the praise that it gained from its original run on the Vita, there is more to love here than flinging the game's heroine from one side of town to the other. How does the game play tell the story? The narrative itself, as summarized above, resembles more of a superhero origin story than a simple supernatural mystery (though there is definitely layers of that as well). The player guides Kat from story missions and side quests which require the use of her ever growing abilities to shift the gravity around her. Some of these missions include: helping the local police force defend an important relic from a daring thief, collecting precious gems to help restore the cities' decaying facilities, or (amusingly enough) getting a part time job in order to pay off collateral damage. Despite my initial negative assumptions, these side quests were surprisingly well written and provided some excellent world building. Each successful quest allows Kat's reputation as a local hero to grow, giving her power boosts that will be a necessity in the end game. One aspect that I, quite unexpectedly, found myself getting into the more the game progressed was Kat's character and overall journey. Young, pretty girls who are are conveniently suffering from amnesia is a common cliche with video game protagonists. The way Kat is presented, however, thankfully keeps her from falling into the common traps of this character type. Despite waking up in a strange place with no memories of what she was doing prior, she does what she can to make the best of her situation without being overly cheery or depressed about it. Even going out of her way to use her gravity powers to help the people around her, even if they don't always appreciate it. In fact, a lot of what makes the story engaging is what the player learns about the world through Kat's eyes. Though there are still a great deal of mysteries left to be solved by the time the credits roll, the game does a good job at making the unsolved questions feel like a grand adventure for another day, instead of a long winded hassle. 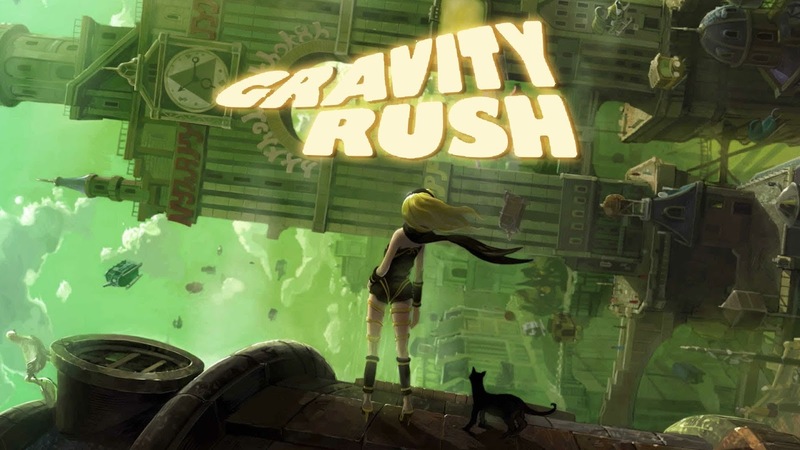 It is also helpful to have a musical score composed by Kohei Tanaka, who has composed music for well-known animated properties (such as, One Piece, Mobile Fighter G Gundam, and Dragon Ball) to really sell Gravity Rush's adventurous tone. 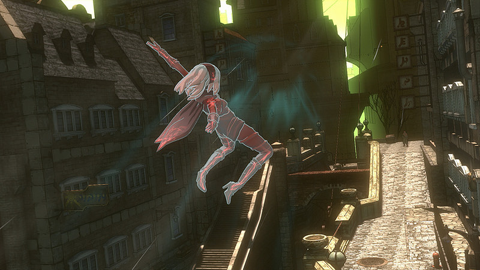 A big part of what sets Gravity Rush apart from other video games, aside from its unique gravity shifting mechanic, is its art style and animation. Both Toyama and the game's lead artist Yoshiaki Yamaguchi, have gone on record on how the game's art was inspired by Bande Dessinee (BD for short), which is a style used in French/Belgian comics. 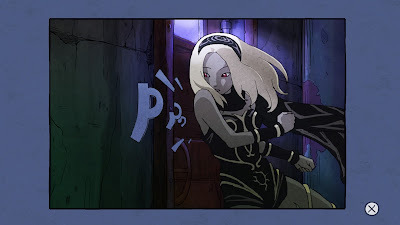 A style made all the more apparent during Gravity Rush's two-dimensional, page by page cut scenes. But the style, according to Yamaguchi, also allowed them to experiment in the construction of Hekseville by emphasizing the city's scope. This location, which is large in both a horizontal and vertical sense was created to better serve the purpose of creating the terrain for Kat to navigate when using her powers. A touch that was not lost on me as I played through each of the main story missions and side quests. It was this exaggerated style, in addition to some stand out line work and excellent color pallet that helps the environment stand out, Combined with the fact that almost everything in the world can be interacted with (i.e. Kat can pick up objects, or even people with her gravity powers. Both intentionally and accidentally. Cause property damage in big throw down fights, and even just chatting with random NPCs) makes Hekseville come alive as a living, breathing city. I had the most fun, flying or even running through the city streets looking for collectibles just so I could see every corner of the map. Even the animation of Kat as she falls across the sky has its own strange charm. Watching as she attempts to adjust her body to look where she is going and land on her feet really sells the experience that while she may have this power, she does not have 100% control of it. The gravity changing, while fun, can be difficult to get the hang of. There are times where the constant shifting with throwing the camera out of balance giving you a close up of a wall or Kat's face when you're trying to look in the direction of an oncoming enemy. But what frustrated me the most was the sharp difficulty spike that seemed to come out of nowhere in the later chapters of the game. I acknowledge that in video games, near the end, enemies are supposed to provide more of a challenge. But there is a big difference between challenge and being locked in a corner by a barrage of 15 different enemies at once. Each one with very specific weak points that need to be hit if any damage is to be dealt at all. A trial made all the harder when one of the most crucial mechanics (picking up and throwing debris), can be thrown off with just the slightest provocation. Though the game's missteps did bother me, I can still say with absolute certainty that I don't regret playing this game all the way through. Even struggling hours on end to beat all the side missions. A big part of that goes to the fact that I had become so immersed into the world of Gravity Rush. Thanks to the impressive artwork, fun characters and sense of adventure that you don't seem to get from a lot of video games these days. Gravity Rush Remastered is available at local video game retailers and online at Amazon. Jeff Rubenstein, Sr. Social Media Manager, "The Surprising Origins of Gravity Rush" Playstation.blog, March 14, 2012, Sony, http://blog.us.playstation.com/2012/03/14/the-surprising-origins-of-gravity-rush-for-ps-vita/. Accessed January 8th, 2017. Spenser, "Gravity Rush was Ten Years in the Making" Siliconera, December 16, 2011. http://www.siliconera.com/2011/12/16/gravity-rush-was-ten-years-in-the-making. Accessed January 8th, 2017. Yoshiaki Yamaguchi, "The Art of Gravity Rush on PS Vita" Playstation.blog. May 2nd 2012. https://blog.eu.playstation.com/2012/05/02/the-art-of-gravity-rush-on-ps-vita/ Accessed January 8th, 2017.